…from combi boiler swaps to full system upgrades including tanks, radiators and controls. We want to provide homeowners with peace of mind when they are upgrading their home heating system. And as a Worcester GOLD accredited installer, you can rely on us. A Helmanis & Howell heating or boiler installation gives the peace of mind of a system that will be safe and hassle free for years to come. Call us on 01642 553 322 to book your free estimate. We now give a 10 year guarantee on our Worcester gas boiler installations and include a full system flush, installation of a magnetic filter and controller as standard. 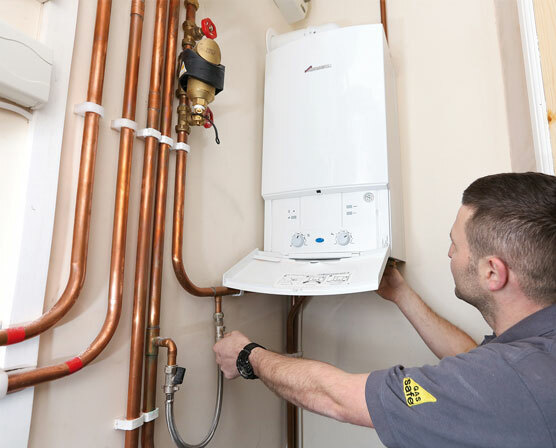 Every installation is registered with Worcester and Gas Safe on your behalf and we’ll even remind you when your annual service is due. Fitting is by our own Gas Safe registered and Worcester GOLD accredited trained installers. Our highly qualified experienced engineers are clean, tidy professionals who take pride in their work. And they’ll get rid of any rubbish safely too. We are ERP and Boiler Plus legislation compliant. Installers who don’t comply with these are breaching the Building Regulations and are therefore breaking the law. This is policed by Building Control. The householder is also required to comply with the Building Regulations*, and will need to provide certification of this if they sell their home. *Having non-compliant work carried out may result in prosecution and penalties up to £5000 for the homeowner. A Merry Christmas to all ….